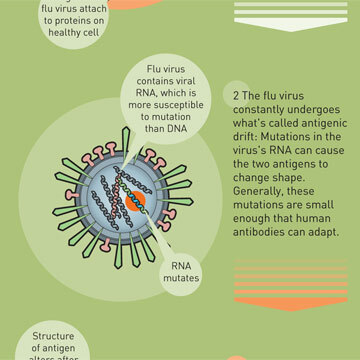 Here’s how the flu virus evolves to thwart natural resistance. 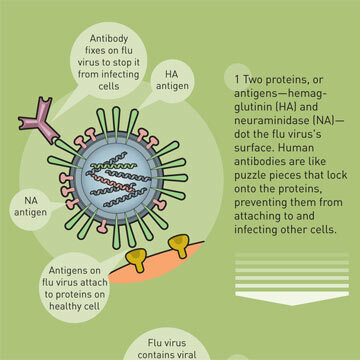 Avian influenza has sparked near panic over an imminent pandemic. But some biologists argue that the dread is overdone. 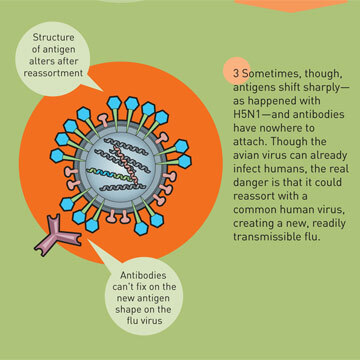 With nasal spray and gene guns, the chase is on to prevent the next pandemic. 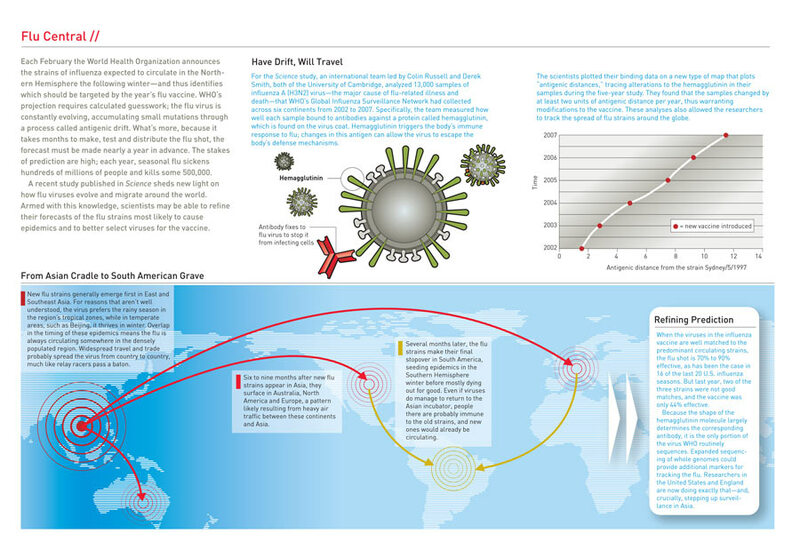 A new study sheds light on the flu’s yearly course around the world, helping scientists refine vaccines.